Enjoy a classic American diner at Cafe Hollywood in Planet Hollywood. The hip, fun atmosphere coupled with a huge selection of diner favorites will please every eater in your party. Choose from over 150 delicious menu selections, sit back, relax and enjoy an event on one of the 48 plasma TV’s. As an added bonus, you can experience this dining pleasure 24/7. 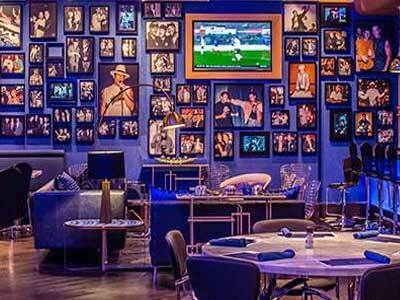 The menu at Planet Dailies Las Vegas offers Planet Hollywood guests salads, pastas, seafood, steaks, burgers, contemporary Chinese fare, hearty sandwiches and decadent signature desserts. You can also enjoy breakfast all day and all night. Enjoy the new bar which features 24 wines by the glass, cocktails, and small bites. The counter serves an array of decadent treats including shakes, donuts and gelato. Ordered the BLT…..bacon was all grease. I had an upset stomach all day afterwards. I will not be back. The chicken and waffles are the best! !